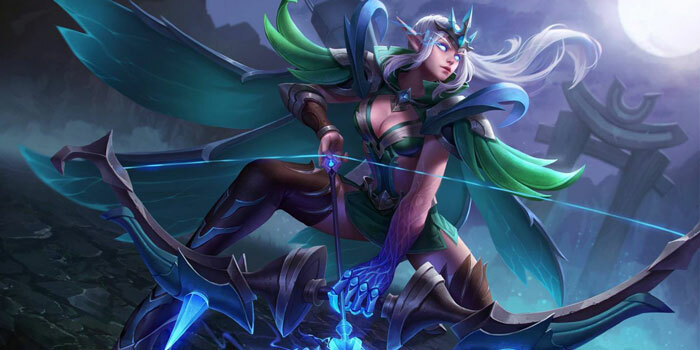 Tel'annas Item Builds Guide for Arena of Valor (AoV). Each build is geared toward a different play style, so choose one that fits your personal preference. Claves Sancti Claves Sancti is a strong item for Tel’annas, or any marksman for that matter. It provides a powerful combination of attack damage and critical chance along with a number of power passives that increase the damage that the wielder does with each critical hit as well as increase the wielder’s movement speed each time one lands. Slikk’s Sting Slikk’s Sting further empowers Tel’annas’ normal attack firepower and is a perfect follow up to Claves Sancti. It raises her attack speed, movement speed, and critical strike chance while also providing invaluable resistance whenever a critical strike lands. This is a very valuable effect which can be a huge help in escaping fights or keeping up an assault on enemies during a chaotic team fight. Muramasa When the enemies are stacking armor or heavy on tanky enemies, Muramasa will ensure that your attacks are never completely negated. The armor pierce it offers raises in effectiveness the more armor that the target has. The cooldown speed it additionally offers is a nice addition, helping Tel’annas use her abilities even more frequently. Fafnir’s Talon Fafnir’s Talon takes a different approach to amplifying damage, helping counter enemies who stack health items. Each of Tel’annas’ shots gains an additional bit of damage based on the enemy’s current health. 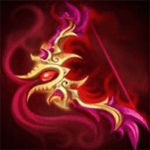 In addition, it provides attack damage, attack speed, and life steal, making it all around great addition to a marksman’s offensive arsenal. Fenrir’s Tooth Fenrir’s Tooth dramatically raises the wielder’s attack damage, especially when attacking low-health targets. Bow of Slaughter As an immobile marksman, Tel’annas can use Bow of Slaughter to recover or sustain herself in fights where fleeing is not an option. While offering a small amount of lifesteal passively, the active ability it provides will raise the wielder’s lifesteal to a full 100%. This can easily keep Tel’annas up and fighting in rough situations. Devil’s Handshake While not as important as Claves Sancti, Slikk’s Sting, or even Bow of Slaughter, Devil’s Handshake can be a nice way to pump up Tel’annas’ critical rate even further. All four items together will bring her to 90% critical rate, ensuring that (almost) every shot devastates when it lands. Beyond that, the stacks that Devil’s Handshake generates will give Tel’annas an immense amount of attack speed once fully stacked. Blade of Eternity As the game progresses, Tel’annas will find herself having a harder and harder time staying up in fights. Ancestral Glory alleviates this problem, picking her up after she falls two times in a match. In addition, the item provides a decent amount of armor as well as a 10% boost to all damage done, giving the archer some additional offensive and defensive potential as well. War Boots If you are able to properly keep your distance from enemies, War Boots is the way to go. As the only option that ups her damage potential, they are some of Tel’annas’ favorites. Gilded Greaves If regularly suppressed, Gilded Greaves will alleviate some of the pressure put onto their wearer. These are important if the enemy team has a large amount of crowd control and are regularly targeting you. Sonic Boots If having trouble with an enemy marksman, Sonic Greaves can give Tel’annas an edge by dampening their damage. Here we try to build up Tel’annas’ damage potential so that each shot lands with devastating force. Between the critical damage, on hit bonuses, and armor pierce provided, Tel’annas will land devastating blow after devastating blow when engaged with her opponent. We finish with Fenrir’s Tooth, it both pumping up the strength of each arrow and ensuring that low health enemies don’t walk away from fights. This build leads Tel’annas to shooting out a constant barrage of critical strikes rather than the slower, heavier volleys of the previous build. As mentioned earlier, Claves Sancti, Slikk’s Sting, Bow of Slaughter, and Devil’s Handshake together will bring Tel’annas’ critical rate up to 90%, 100% if she is holding critical arcana as well. Guaranteeing critical shots is nothing to sneeze at, especially since this will also lead her to always benefit from the on-crit effects offered by Claves Sancti and Slikk’s Sting. Many of the items offer movement speed bonus as well, giving the marksman a bit of mobility both in fights and away. Muramasa is our safeguard against tanks, the lower amounts of attack damage that this build sports needing some assistance when dealing with heavily armored foes. With the rise of the ADC jungle, the idea of jungle Tel’annas has become less farfetched. She has a decent clear speed and Arrow of Chaos and Eagle Eye together give her some decent ganking potential. Furthermore, Eagle Eye, Penetrating Shot, and the Might Buff together allow Tel’annas to dish out tremendous amounts of slow. We went with Scorching Wind so that we could focus completely on damage after that. Scorching Wind, Slikk’s Sting, War Boots, and Eagle Eye together will give the archer +150%, bringing her near the 200% cap after her natural 42% at level 15. For damage, we have Claves Sancti for beefy critical strikes, Muramasa to cut through enemy armor, and Fenrir’s Tooth for raw damage and finishing potential. With this build you get the max attack speed, critical chance, and, by activating Bow of Slaughter, the max lifesteal. Even if you don’t activate Bow of Slaughter, you get pretty good lifesteal. The combination of the high critical chance and the max attack speed you gain with Eagle Eye makes it easy to kite and easy to keep yourself alive during the mid to late game. Fafnir’s helpes to melt tanks and Devil’s Handshake ensures that you keep your attack speed up without Eagle Eye and gain the max critical chance to become a late game monster. A fairly standard build from Uddy that hits a lot of stat caps. This is particularly good against health stacking heroes or squishy foes due to its lack of armor pierce. That said, each arrow will land with devastating force and come at a rapid pace. With the new changes to Tel and the ability to critical hit with magic damage, we revise part of her build to maximize the amount of magic damage dealt. Blitz Blade and War Boots are there to provide adequate attack speed, while Claves Sancti and Bow of Slaughter cover the critical chance while adding attack damage (remember, the more attack damage built, the more magic damage you’ll do with Eagle Eye). Finally, we forego any armor pierce to focus fully on delivering magic damage, adding Fenrir’s Tooth and Blade of Eternity to finish off the build. Given new update, Whats the best level 30 selection arcana and item build for telannas to achieve max damage? Green, can I pls get some help? Thanks for the new best build for max damage based on new update. Given new update, Whats the best level 30 selection arcana for telannas to achieve max damage? Can an admin pls respond. Thanks. Updated Tel’annas’ builds based on what I think is best given her current state. It’s much harder now, as the attack damage/magic damage mix gives her a rather interesting item dynamic. Items like Fafnir’s Talon, Enchanted Kicks, or Rankbreaker could also do well on her, so experiment with those as well. Arcana stays the same, though she could additionally benefit from Flurry instead of Skewer. Whats highest damage build for telannas? I’m sorry it took so long to reply; we’ve been busy with the recent patch and the new tier list. I have updated Tel’annas’ attack damage centric build on her page and her hero page’s arcana to what I think would be the best choices when it comes to straight damage in fights. Thanks for the update. Couldnt find max damage level 30 arcana. Care to write here and also direct me? The arcana we chose are Rampage x 10, Guerilla x 10, and Skewer x 10. A case could also be made for Blitz as your red arcana as well. So the above is for max damage arcana? Why stab? Its a level 1 arcana. Why not skewer? Can you pls check and confirm max damage arcana for telannas? Thanks ???? Purple – why not assasinate? 1. Any update to tellannas max damage build? 2. Whats the best level 30 selection arcana for telannas to achieve max damage? Given all the new items, may it be possible you update the glass cannon build for max damage? Yes, we are going to be going through and updating builds based on the new patch. However, our priorities are elsewhere at the moment so I cannot give a good guess as to when the new builds will be ready. Can u do telannas max damage build first? ???? when will all other max damage builds be done for all other heroes? I have a doubt about the Glass Cannon item build. If I’m rigth it gives you a full +115% atack speed, for a 215%, plus the +35% increase of Eagle Eye, but there is an AS cap of 200%, so this item build seems to be redundant. Thanks for commenting! Heroes start at 0% attack speed, not 100%, so there’s room for adding +200% before hitting the maximum. I got it wrong, then! Thx for the answer ???? Btw, what do you think about the double Slikk’s Sting? Double Slikk’s Sting doesn’t apply the 250% damage unique passive twice, so you’re better off getting Devil’s Handshake to add its unique passive as well. Sorry, I didn’t explain myself properly. The question was about claves + Slikk’s + devil’s + 2nd Slikk’s. It would give only +100 atack, but a 80% critical chance (96 with arcana), plus the +90 atack speed, and +15% movement bonus. You could add a Fenrir’s to further empower those criticals or go for the life steal with the beast. You already get 70% crit chance with Claves/Slikk’s/Devil’s, so going to 90% isn’t really worth it, especially because you’ll only have added 100 attack damage through 5 items (including boots) – so your crits won’t even be doing that much damage. Better to empower your crits with armor pierce like Muramasa (which gives CDR too) or just max AD with Fenrir’s Tooth. Omni Arms is also a good all-around item, while Death Sickle can keep you alive if you get jumped.